I live in New York City and have come to endure my daily commute. Now, with clients in Silicon Valley, I'm frequently flying, and it's got me thinking: What kind of global footprint am I leaving? So I did some digging. According to the EPA, almost every single car on the road emits 9,737.44 pounds of Co2 every year. These greenhouse gas emissions are a significant contributor to pollution in our environment. New transportation options are emerging every day that give drivers and commuters ways to enjoy the ride without deteriorating the Earth. Here are four travel options I've narrowed it down to, in my pursuit of the green, long-distance commute. 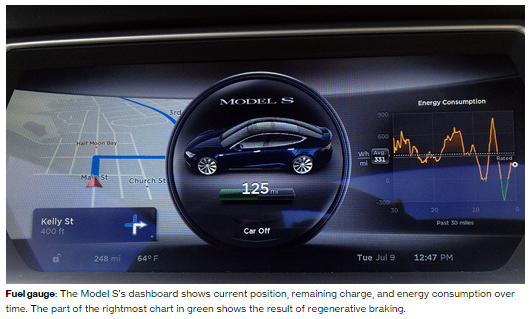 Consider an electric car, which is what I'm doing for my Silicon Valley visits. While the Tesla Model S is pricey at $70,000 or more, its range is triple that of the Nissan Leaf -- about 265 miles, according to the MIT Technology Review. As the review notes, "Today's electric vehicles promise several advantages over gas-powered cars," including a full charge that only costs a few dollars using any outlet at home, at work, or on the road. These cars emit zero pollution while operating. Even if you consider the energy required to manufacture the car, electric cars still emit 40 percent less CO2 than gas-powered vehicles. If driving your own vehicle is something you don't want to give up, consider saving up for an efficient, low-pollution electric alternative. Now here's something cool when I'm in meetings in Chicago. There, green and class are both possible when you rent a cab or enlist a chauffeur. Abdullah Ilahi is the founder of E-Motion Chauffeurs and Hires. E-Motion offers rental cars and chauffeur services, and the company is dedicated to bringing green technology to the forefront. Indeed, a great option for people who want a greener commute... in style. And the company can also provide another eco-friendly benefit: allowing drivers to test out an electric car like the Tesla S before they choose to purchase it. "We think there is a real market for these test drives," says Ilahi, "because people are so fascinated with the concept, and they haven't had a chance to try out this new technology. Everyone needs to be more environmentally conscious, and we believe it's possible to travel comfortably and effectively while preserving the environment." Rely on greener chauffeur and cab services to limit your transportation emissions. What about when I'm flying coast-to-coast? Patti Prairie, the CEO of Brighter Planet, offers a few tips for flying green. First, pack light, "If all passengers packed five pounds less, it would save 64 million gallons of jet fuel each year," Prairie notes. Booking non-stop flights makes a difference, too, whereas a non-stop flight can greatly reduce your carbon footprint. And if you can, fly economy class. More people on a plane means more efficiency. First class seats take up more room, increasing the amount of emissions per person onboard. "This is an easy first step... to take in any carbon reduction program," Prairie explains. According to the American Public Transportation Association, choosing public transportation saves 37 million metric tons of carbon emissions every year. You can even calculate your own personal eco-contribution at publictransportation.org. While some progressive cities like Atlanta, Georgia and Lafayette, Indiana are actively working to make public transportation greener, there are still major strides to be made in the industry to bring transportation into a cleaner, greener 21st century. But I'm more of a "group" person, and figure if I've got to commute, doing so with like-minded people makes it more rewarding. 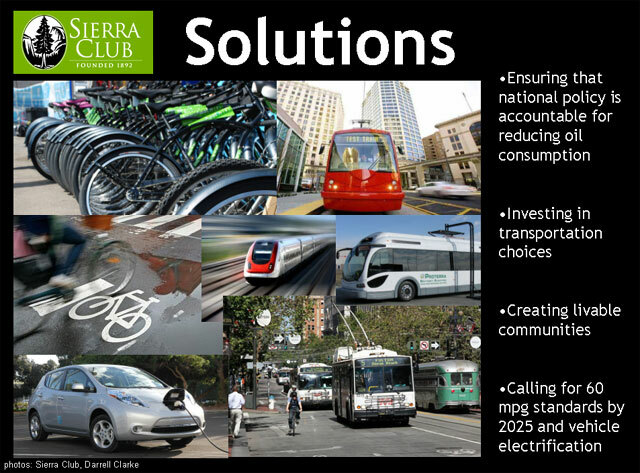 For people like me, the Sierra Club recommends joining up with other 'Transportation Activists' in order to find out about the latest developments in green transportation. You can become an advocate for powerful, eco-conscious change in your town or home state. A greener society starts with you. Choose eco-conscious cars, cabs, flights, and public transport options and join the fight for a greener future.